Ruby is July’s red-hot birthstone. 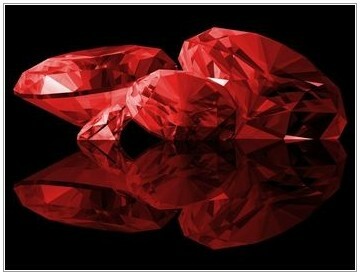 The ruby stands for passion and zeal and brings people who are born in July good fortune, love and a strong drive. It is also said to make the wearer wise. The ruby protects their owners against all kinds of misfortunes. The fiery glow in the gem was believed to be an internal flame that could never be extinguished. 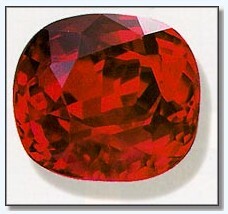 Ruby is the red shade of the mineral Corundum; all the other shades of Corundum are sapphires. It is also one of the hardest gems, second only to diamond. Ruby derives its name from the Latin word Ruber which means red. Rubies can range in color from bright red to a red-violet or even a red-brown.